If you have been diagnosed with Hashimoto’s thyroid disease, you’ve probably been told by your doctor that it’s an irreversible chronic disease. The good news, however is that you can actually overcome Hashimoto’s naturally. Hashimoto’s thyroid disease is an autoimmune disorder. This means the immune system is producing antibodies that are attacking the body’s own healthy tissues, which negatively impacts upon your thyroid gland functioning. If you have Hashimoto’s thyroiditis, you are at a higher risk of developing other autoimmune disorders and, to a lesser extent, a specific form of thyroid cancer. 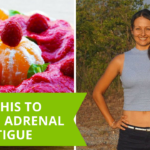 Other autoimmune diseases that can happen to someone already suffering with Hashimoto’s thyroid disease include Addison’s disease, (3) which can result in an adrenal crisis and damage adrenal glands. You might be wondering what’s the difference between Hashimoto’s disease and hypothyroidism. Hypothyroidism is when the thyroid is under active, and this can happen with the disease called Hashimoto’s thyroid disease if it goes on for too long. In the case of Hashimoto’s, antibodies attack proteins in the thyroid gland, causing gradual destruction of the thyroid gland itself. This then results in reduced production of thyroid hormones. Hypothyroidism means that the thyroid gland is not producing enough thyroid hormone. Hashimoto’s disease is the most common cause of hypothyroidism. You definitely should not ignore a high level of thyroid antibodies and you can actually reverse them through diet and lifestyle changes. Dis-ease is an opportunity for you to start paying close attention to yourself with self-nurturing so you can experience greater mind-body-spirit harmony with yourself. So it’s your opportunity to pay attention to the areas of your life that are not working – including your diet, overall lifestyle, thoughts, etc. Going deep within for re-evaluation and deeper inner connection is an important first step in addressing any disease. 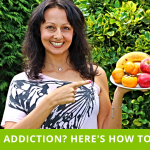 A big percentage of your symptoms can be reversed by diet and lifestyle changes. In order to reverse Hashimoto’s thyroid disease, you’ll need to exclude the foods that trigger this condition and include the foods that help your body re-balance itself. Trigger foods include eggs, dairy and gluten. The foods that can help you restore the functioning of your thyroid include whole plant foods – fresh fruits and vegetables and modest amounts of plant fats. 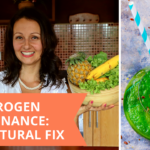 These foods will aid you in natural detoxification and health restoration, including restoration of your liver and your gut. Address underlying deficiencies, which might include vitamin B12, vitamin D, selenium and iron. 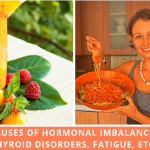 These nutrients are often found to be low in ladies with hypothyroidism and Hashimoto’s, so if you are deficient in anything then it’s very important to correct it. Address other reasons behind you having Hashimoto’s thyroid disease, including bad bacterial overgrowth, parasites and viruses. Epstein Barr Virus, for example, that can often been found in people with Hashimoto’s thyroid disease and can actually lead to an autoimmune response to your thyroid gland. Candida, SIBO (small intestine bacterial overgrowth), H-Pylori and other conditions can also be contributing to having Hashimoto’s. 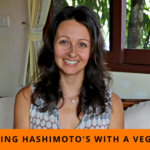 In order to reverse Hashimoto’s, you also need to balance the health of your gut. Issues like a leaky gut, candida overgrowth, parasites, other pathogens can cause a lot of damage to your gut. It’s very important to restore your digestive health as part of your hormonal restoration. 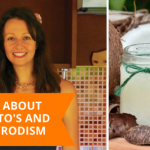 So these are the vital steps that you need to take to help balance your Hashimoto’s thyroid disease naturally. Watch my video above to discover more about the steps you need to take. 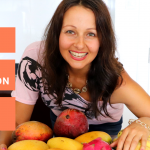 During this masterclass, we’ll walk you through the 5 steps our clients use to overcome hormonal and other health imbalances and release 10-50 lbs of excess weight … whilst never restricting themselves of carbohydrates and sugar.